The magazine's current cover story on Rick Perry takes a close look at the cronyism and funny math involved in his two job creation funds, which have doled out more than $800 million in taxpayer money, including to many enterprises backed by his top campaign contributors, in return for the "creation" of jobs that prove hard to find on the ground. 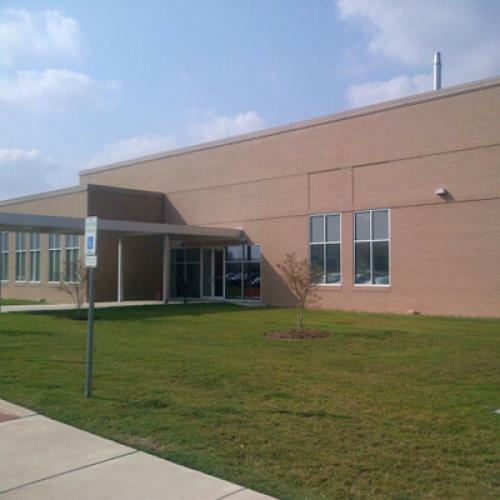 I focused on two recipients in particular -- a biotech venture at Texas A&M that got $50 million called the Texas Institute for Genomic Medicine (pictured above) and a consortium in Sugar Land called the Texas Energy Center that got $3.6 million and has vanished without a trace. William Hoyt, an economics professor at the University of Kentucky who studies state economic-incentive programs across the U.S., said similar efforts elsewhere have been dogged by controversy over how many jobs they actually created. Even so, Mr. Hoyt said he hasn't come across a definition as broad as that employed by Texas. "It's hard to see jobs in dental supplies in El Paso being related to a genome clinic in College Station," where Texas A&M's main campus is located, he said. In seeking the $50 million grant, the applicants hired a consulting firm based in Waco, Texas, to perform a required economic-impact analysis. The firm, the Perryman Group, until 2001 had employed Mr. Perry's wife, Anita, as its director of client services, according to the governor's financial disclosures. The consulting firm projected that the genomic institute project eventually would stimulate more than 31,000 direct, indirect and induced jobs and add $2.7 billion to the Texas economy. Mr. Perry's spokeswoman said the firm's connection to the governor's wife played no role in awarding the grant. Likening the genomic medicine effort to the creation of the Internet, Mr. Perry in 2005 said the institute was a "public-private partnership that will help mankind take the next giant leap in scientific innovation and make Texas an international focal point for medical research." The broad definition of a job created by the project stems from language in the 2005 grant agreement, which gave Texas A&M responsibility for adding 3,384 of the promised 5,000 jobs by the end of 2015. A qualifying job was defined as those directly or indirectly related to the institute, along with any "positions with employers in the biotechnology and pharmaceutical industries." A Texas A&M official said the state gave the task of tracking the job-impact numbers to the Texas Workforce Commission, and the university "has no direct involvement with the counting or methodology." A spokeswoman for the workforce commission, a state agency, said it "was provided the methodology" at the outset of the genomics project and merely calculates the job totals for the included industries. So basically, the genetics lab can count toward its job-creation total pretty much any biotech or pharmaceutical job. That may sound nuts, but it's no different than what I found at the Texas Energy Center, which now exists only on paper but is still somehow credited with creating 1,500 jobs because the person who still files the paperwork for the energy center can claim just about any energy-related job in Sugar Land has having been created by the $3.6 million that Texas spent on the energy center. Oh, and the Texas Workforce Commission that "tracks" these numbers? Among Perry's appointees to it was a former executive at the hospital-bed manufacturing company from which Perry reaped a $38,000 investment gain in a matter of a few months in the 1990s. The company is owned by a major Perry contributor, James Leininger, a private school voucher proponent who backed a $1.1 million loan to Perry in his very close 1998 race for lieutenant governor, and who was an investor in two other biotech ventures that got a total of $4.75 from Perry's job-creation funds. The other major backer of that 1998 loan to Perry was Bill McMinn, who was one of the major investors in...Lexicon, the firm involved in the A&M genetics lab that got the $50 million. I know, it's enough to make your head spin. Maybe Perry can clear some of this up on the debate stage tonight.